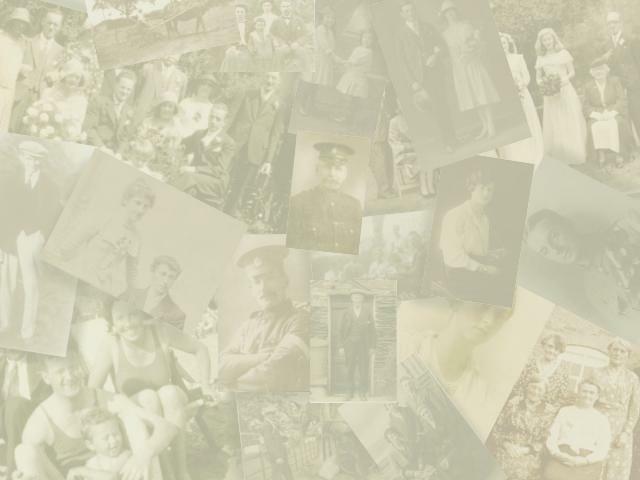 I have just found your Dowding family tree site and am writing to say that I have some information for you about George Edward Dowding’s descendants. He was my grandfather and lived at Oakley House in Patchway. He owned a coal business (with a stable of lovely horses that used to deliver the coal). He also built some houses in Redfield Road, and I remember in the school holidays going down on my bike with the rent book to collect the rents. He was a strict Baptist, so there was no alcohol in the house and Sundays were very formal. He used to go down to the chapel, and the only activity allowed was cooking his Sunday dinner! My grandmother was an invalid when I knew her and died when I was six. Aunt (Edith) May looked after him until she died in a fire when she was carrying live coals from the kitchen range out to the boiler. The wind blew her clothes into the coals and she caught fire. Her screams attracted a neighbour and she was rushed to the BRI but died there of her injuries. My mother, Dorothy Violet, known as Vi (and to us as Dinah), then went (with me, her only child) to look after my grandfather, as her husband was away at sea. She always said that she went to tea and stayed for fifteen years! Dinah was born in 1893 on April 6th or 9th, she was never sure which! I never knew my mother had a brother (Frederick George) until I was 14 or 15, when she said that I had cousins coming to tea, who turned out to be his children. Daisy, the youngest sister, was a domestic science teacher and lived in Stoney Stratford. She committed suicide by gassing herself. My mother and I stayed with my grandfather until he died in the cottage hospital in Almondsbury. My mother married Eb(enezer) Hodges in August 1919, after he had returned from naval action in the Far East. He took an armoured train from Shang Hai up to Vladivostok during which time the war ended and he of course was unaware! When he retired from the navy he and my mother moved to Dawlish, Devon. Following my father’s death, my mother moved to live with me in Sevenoaks in Kent. She died in 1966 in Farnborough hospital in Kent, on the day of the World Cup final, and was buried in Dawlish. I was born on September 12 1920. My name is Elizabeth Suzanne Hodges. I was named after my two grandmothers, Elizabeth Hodges and Susan Ann Dowding. My parents couldn’t decide whether to call me Susan or Ann, so they chose Suzanne, and that is the name I have always been known by. Most of my working life was as a senior executive officer for Barnardo`s.